Meteorites can be broadly classified into four main categories: 1) Iron meteorites, 2) Stony Iron meteorites (pallasites and mesosiderites), 3) Chondrites (stony meteorites having chondrules) and 4) Achondrites (stony meteorites lacking chondrules). Our meteorite photo gallery is set up to reflect these differences in classification. 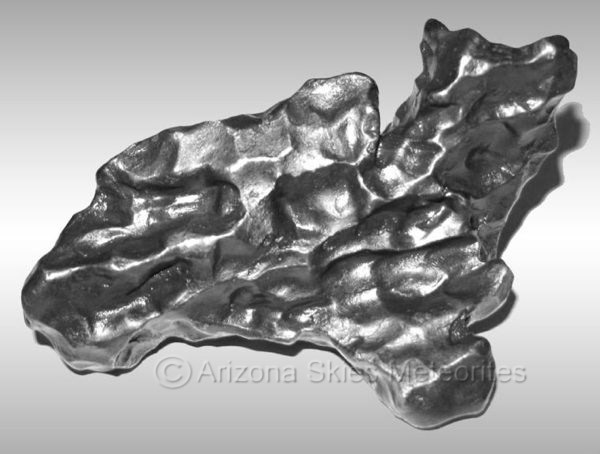 If you think you may have found a meteorite please read our meteorite identification section. 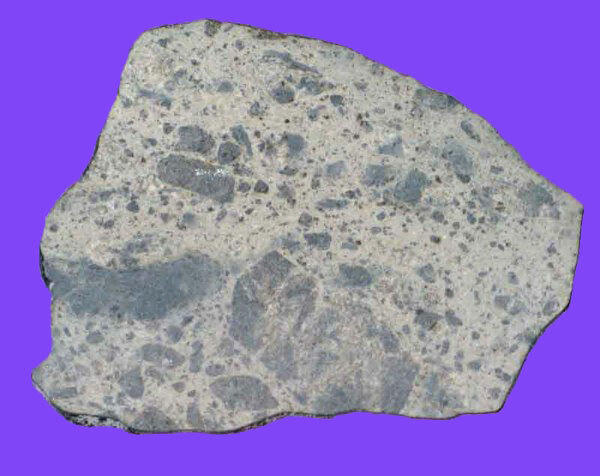 Please click on the photos below to view a large selection of photos of each type of meteorite. Iron meteorites are derived from the core of an extinct planet or planetoid that was destroyed by a catastrophic impact event billions of years ago during the formation of our solar system. Most iron meteorites have beautiful internal crystaline structures known as a Widmanstatten patterns. Stony Iron Meteorites consist of the Mesosiderites and the Pallasites. 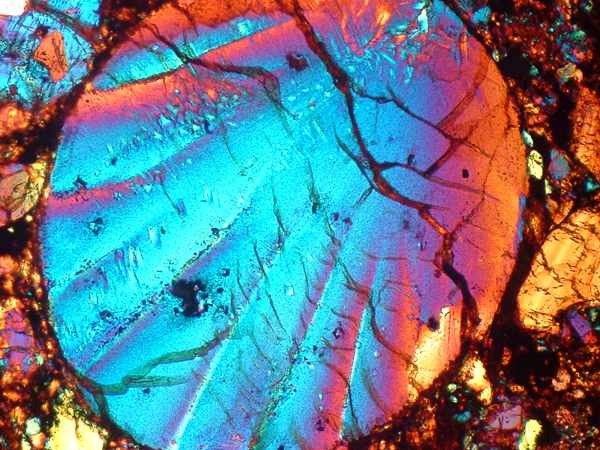 Pallasites were derived from the interface between an extinct planet's iron-nickel core and its silica-rich mantle. They are composed of beautiful olivine crystals (peridot) embedded in an iron-nickel matrix. These stunning meteorites were torn away from their parent planetary body by a catastrophic impact billions of years ago. Chondrite Meteorites are stony meteorites that contain chondrules. 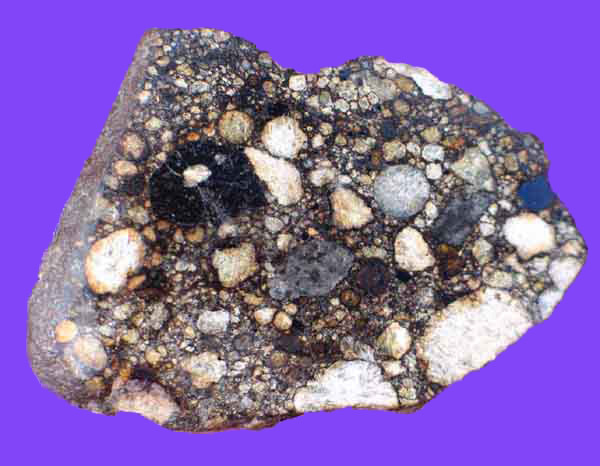 Chondrules are spherical bodies formed early during the formation of the solar nebula. Achondrites are stony meteorites that came from the crusts of planetary bodies or very large asteroids such as Vesta. They were broken away from their parent bodies by the impact of massive asteroids. Achondrites are were formed by igneous processes similar to those occurring on Earth today, and they lack chondrules. 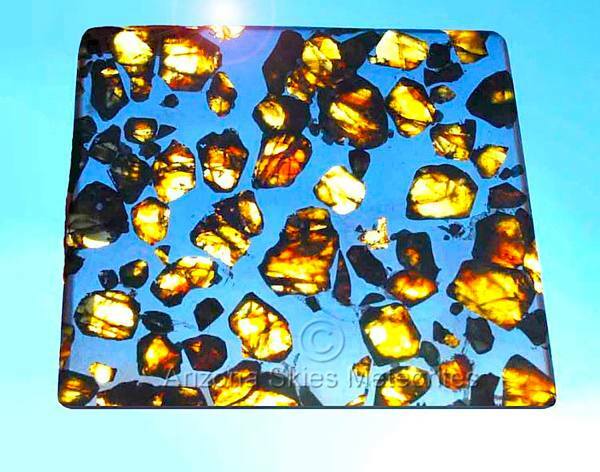 Meteorite Thin Sections are used in the classification of meteorites. Our thin section gallery features the exceptional photography of Tom Phillips. We offer fine quality Giclee prints of many of these photos in our Meteorite Art section. All photos are copyrighted, however if you are interested in using a photo please contact us, as some are available as prints. Feel free to visit our home page below.